This past Wednesday, four Woodard team members volunteered at the local food pantry, Loaves and Fishes in helping to feed almost 300 people. 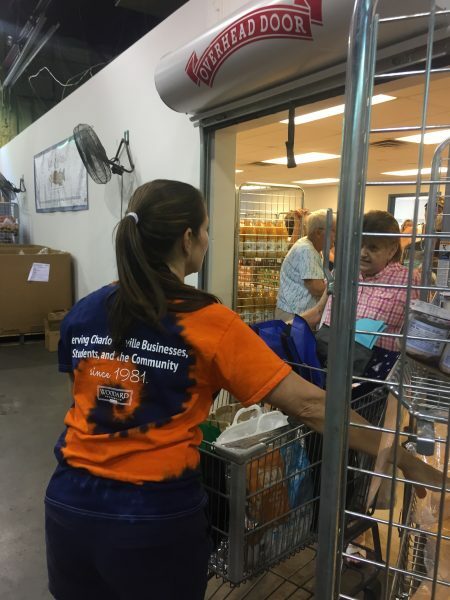 The pantry’s mission is to give food with kindness and compassion to those seeking assistance while providing an opportunity for volunteers to serve their neighbors in Charlottesville and surrounding communities. Thank you to Johnny, Jessie, Alice, and Sarah for their community service!